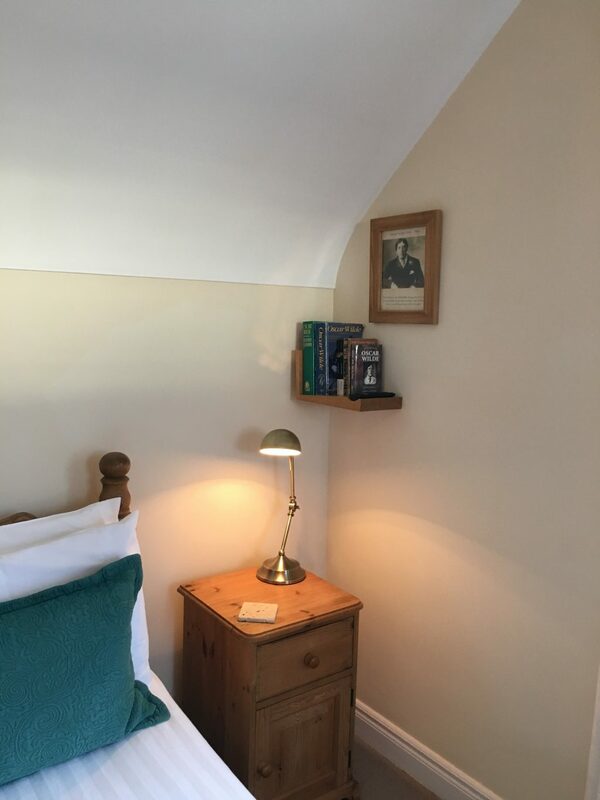 Painted in a relaxing Farrow and Ball neutral colour. 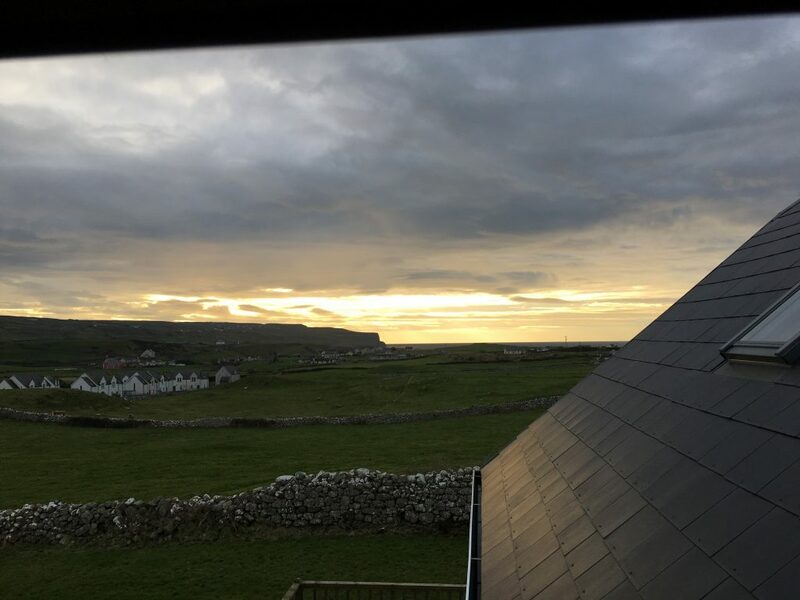 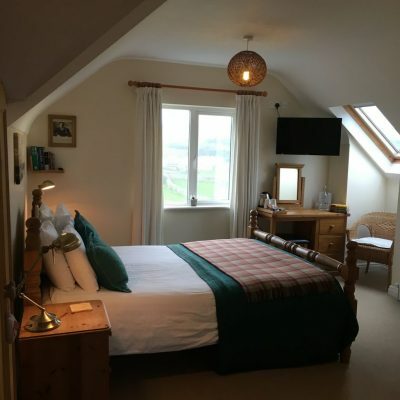 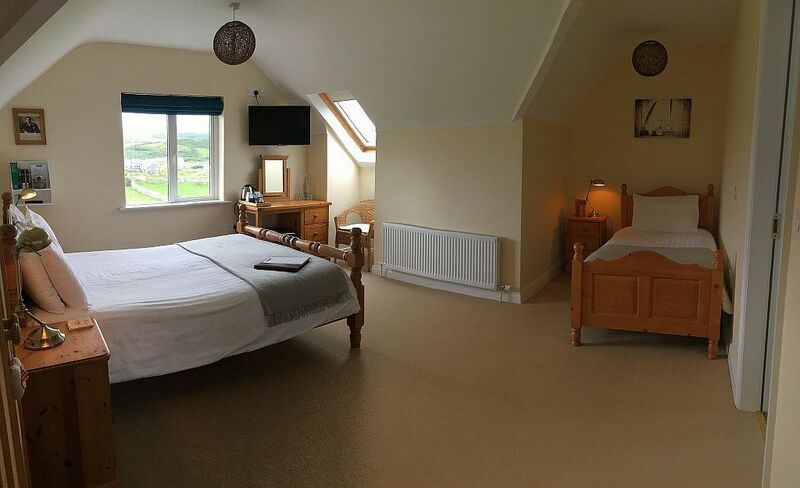 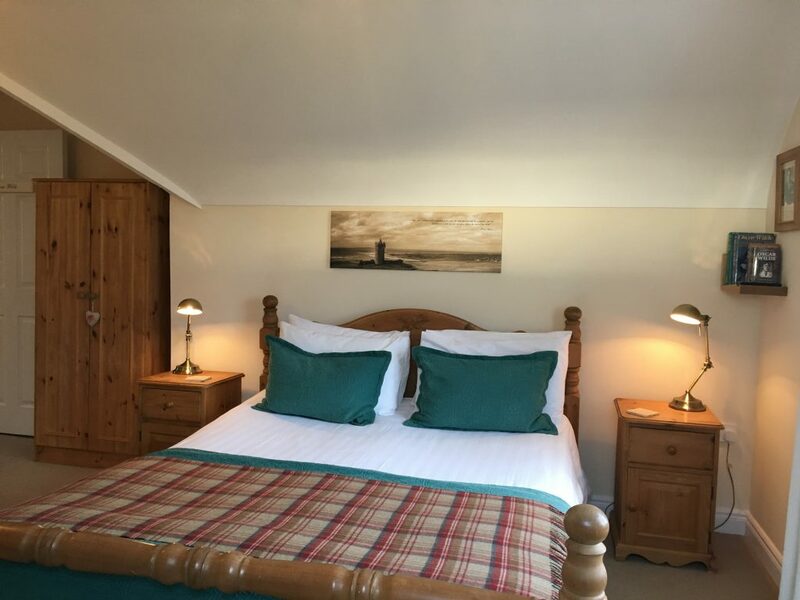 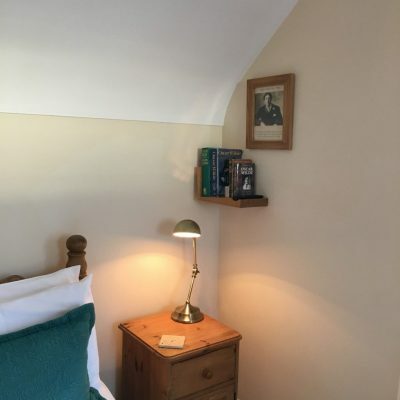 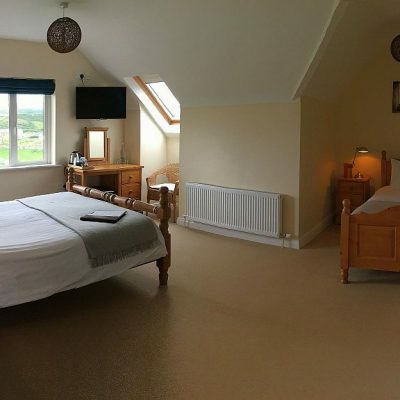 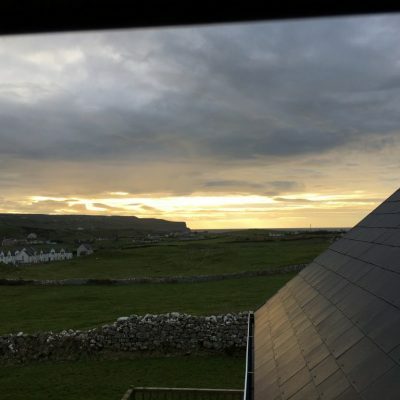 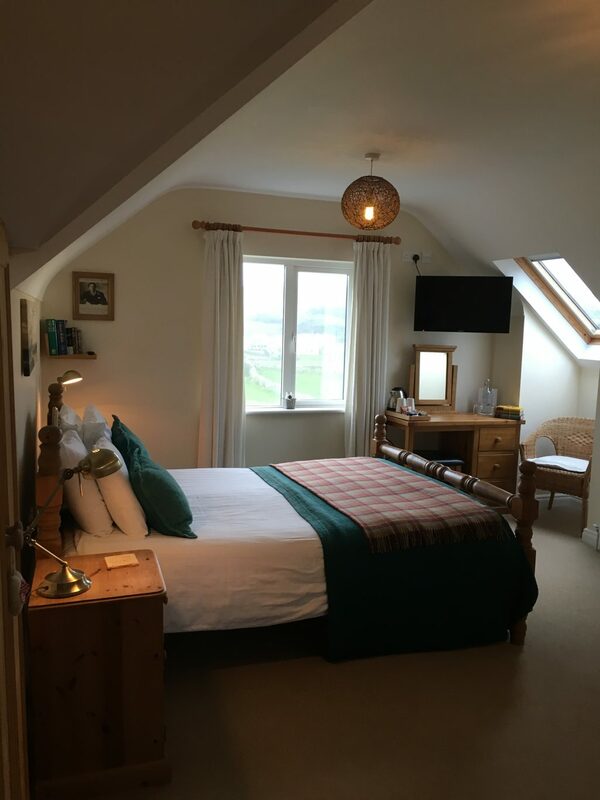 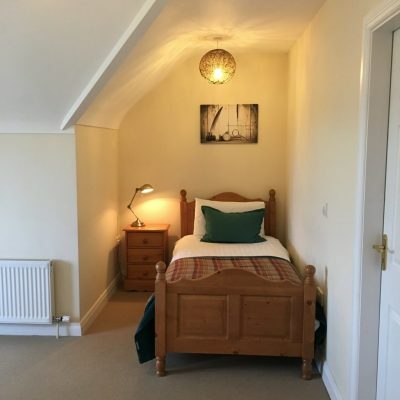 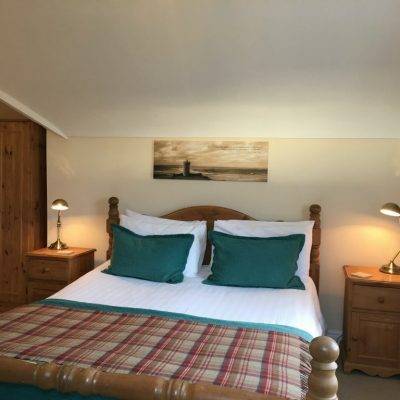 This room is set on the first floor and is our largest room enjoying a fabulous picture perfect elevated view of Doolin village and the surrounding area. 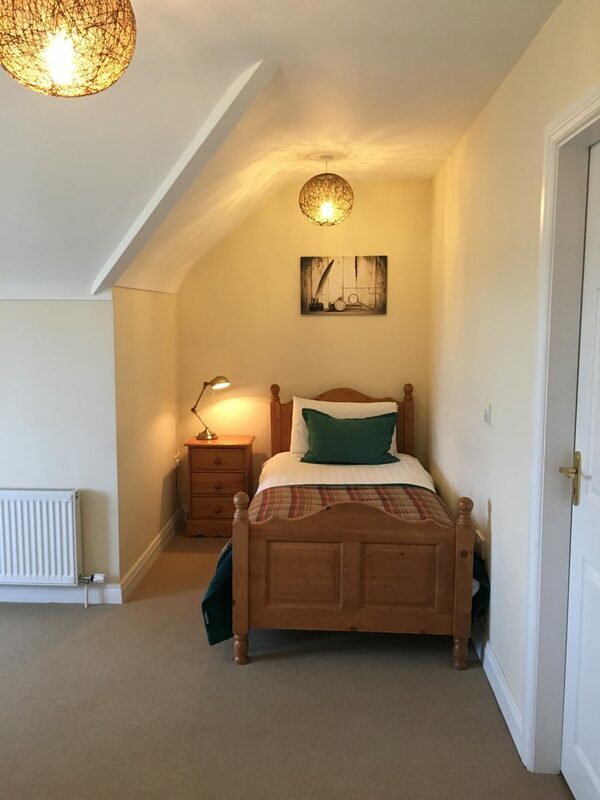 The room is arranged as a family room or luxury double with one king size bed and a single bed with the option for an additional fold out bed to accommodate another child should you so wish. 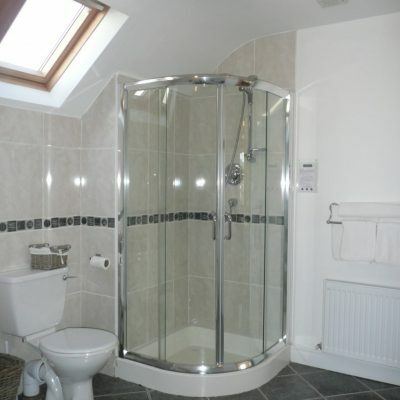 The room has a large private en-suite bathroom with double sinks, individual power shower and toilet. 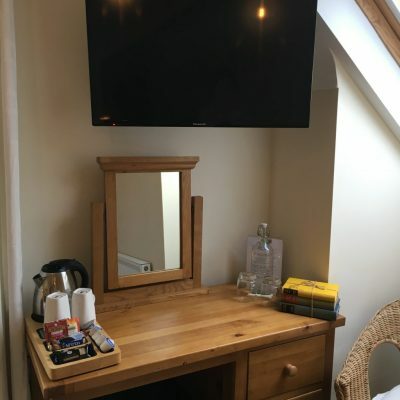 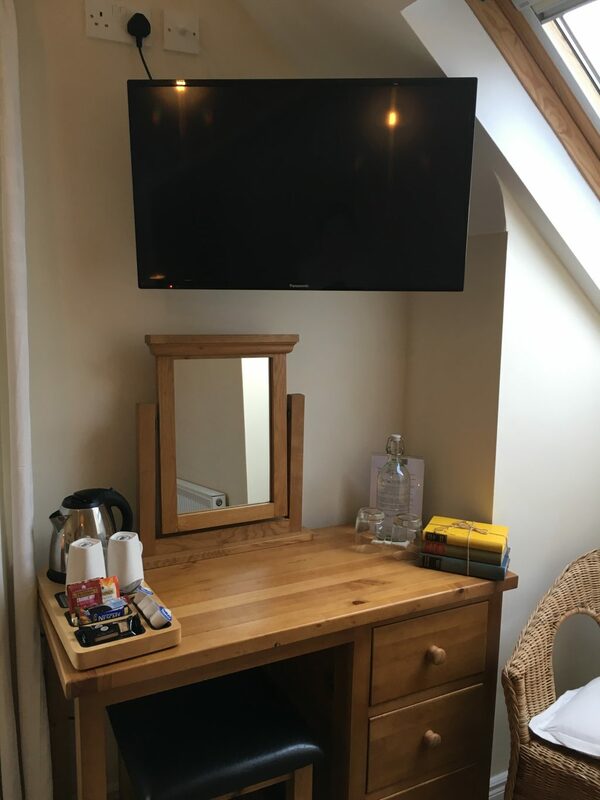 Complimentary coffee/tea and biscuits, fresh bottled water. 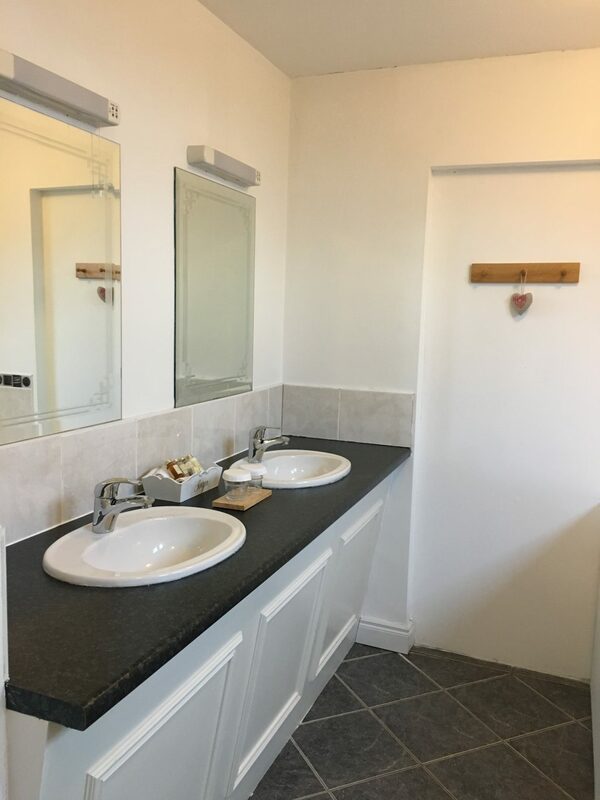 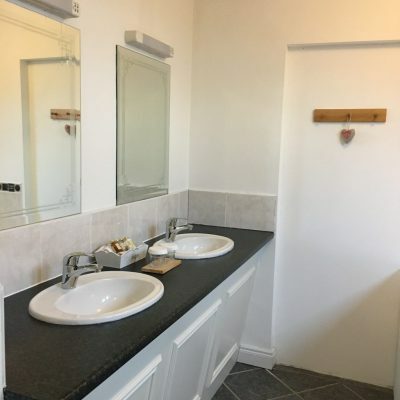 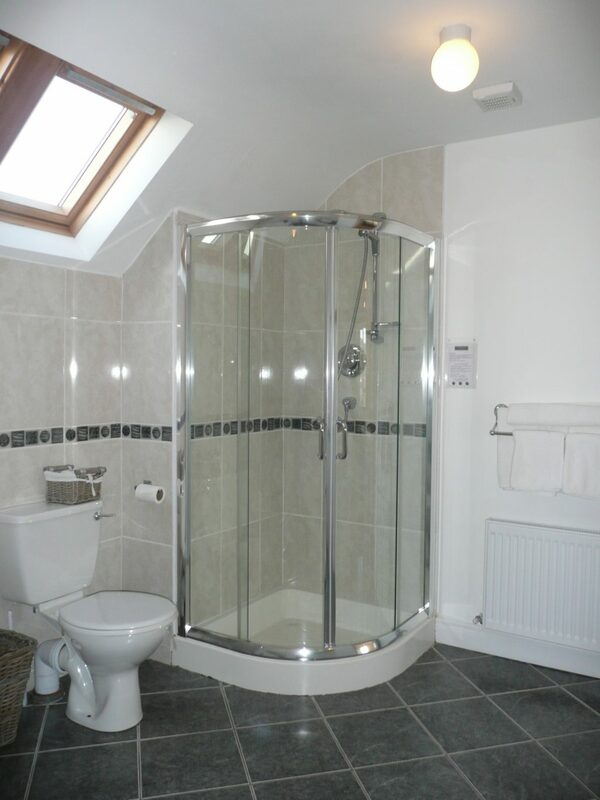 Large en-suite with double sinks, power shower and toilet.